A new study finds new benefits to the Mediterranean diet we didn't know about before. 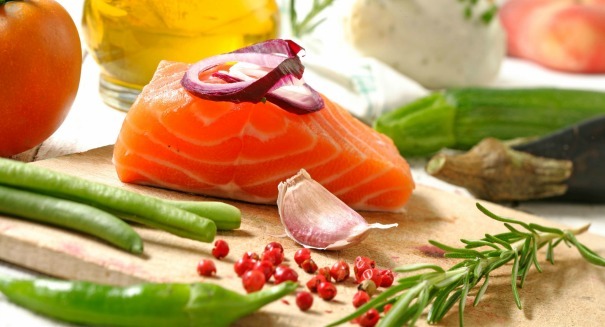 A new study has found that women who eat a healthy diet overall, especially a Mediterranean-style diet featuring lots of fish and fresh vegetables, were less likely to break a hip over a period of about 16 years. It’s the latest indication that the Mediterranean diet is one of the healthiest lifestyles possible for most people, and the study shows that the benefits extend beyond merely weight loss to other parts of the body, according to a JAMA Network Journals statement. It’s a somewhat surprising finding because the Mediterranean diet doesn’t include much dairy, which contains a lot of calcium and vitamin D, and that would seem to lead to more bone fractures in those who consume that diet. But the study, led by author Dr. Bernhard Haring of the University of Wurzburg in Germany, found that that wasn’t the case at all. The Mediterranean diet, which focuses largely on fresh produce, fish, lean meats, whole grains and nuts, legumes, and healthy fats, has been linked to a number of positive health benefits, including weight loss, good heart and brain health, and now better bone health. The findings are based on data from about 90,000 participants in the United States. The surveyed women entered the study between 1993 and 1998 at the ages of 50 to 79. They described their diets at the start, and then researchers compared their eating habits to a number of healthy diets. The study found that women who adhered to the Mediterranean diet were 0.29 less likely than other women to break a hip.